Justin Timberlake in Montreal or Quebec City? Inform me about the next events for Justin Timberlake. Enroll yourself to our priority waiting list for Justin Timberlake to be alerted when new tickets are available. Filling this form doesn't engage you to any purchase. Justin Timberlake will be back in Montreal this Spring ! JT will be performing at the Bell Centre on Sunday, April 8th, 2018, and Monday, April 9th, 2018. 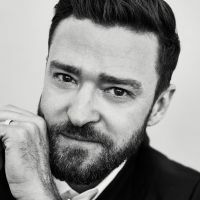 Don't miss this concert as Justin Timberlake presents the songs from his latest album, The Man on the Woods. Released on February 2nd, this new record will be offered to the fans just two days before his gig at the Half Time Superbowl show. Be there to see one of the greatest star of pop music, Justin Timberlake, in the flesh at the Bell Centre !